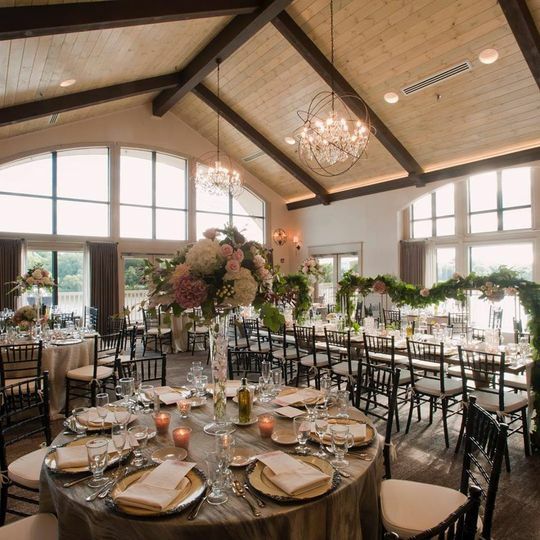 The Camden County Boathouse is a banquet hall in a park in the Southern New Jersey area for couples’ weddings. 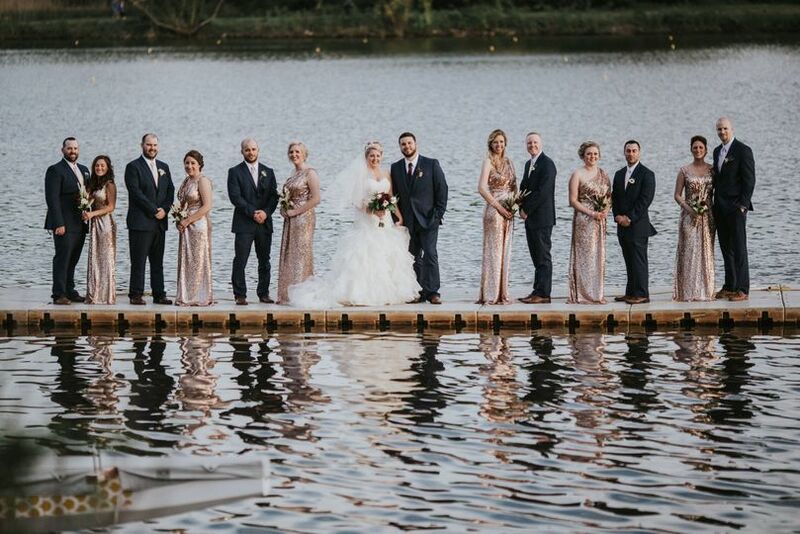 This outdoorsy venue is perfect for a local or destination wedding on the water. Couples will find a wrap-around deck, yard space, and observation tower to be used on their big day at the Camden County Boathouse. This venue is located in Cooper River Park, roughly 15 minutes from Philadelphia, Pennsylvania. This venue is located right on the banks of the Cooper River, offering sparkling waterfront weddings on grassy shores or long docks. 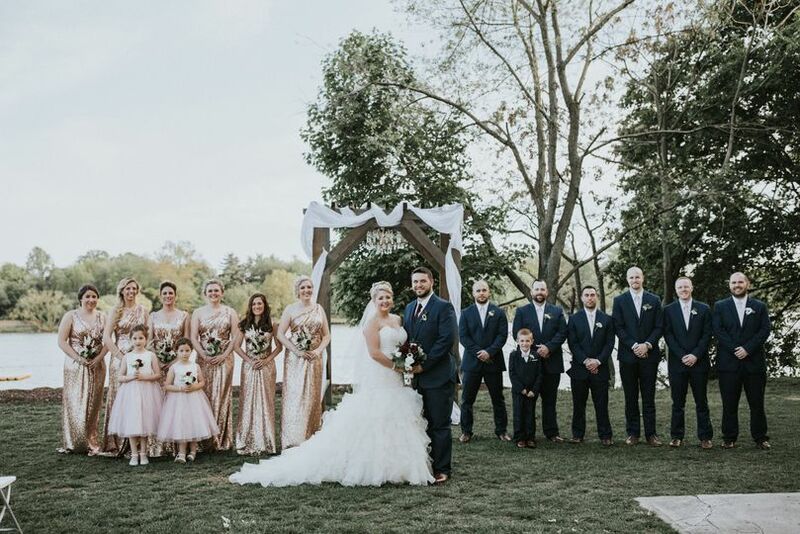 Couples can host their ceremony in the grassy yard of the venue, with a backdrop of lush mature trees and the sun glinting off the waters of the river. Guests can enjoy the celebration from folding white chairs, while a white wedding arbor perfectly frames couples under the boughs of the trees. From there, couples can traverse the property in search of the perfect photo locations. The docks stretching out into the water, the wrap-around deck, and the Boathouse Observation Tower all make stunning photo locations. The Boathouse itself is a stunning piece of architecture, with stone and exposed wood as the exterior, with white siding on the tower and grey shingles on the roof. Couples can use this in the background of many of their wedding shots. Inside, the venue seats up to 200 guests for a reception, with room for more if couples are hosting their cocktail reception or ceremony beyond the banquet hall’s doors. Two portable bars, a built-in dance floor, and two bridal suites make this space welcoming and functional. The Camden County Boathouse was beautiful for our winter wedding. The staff was great and very accommodating. 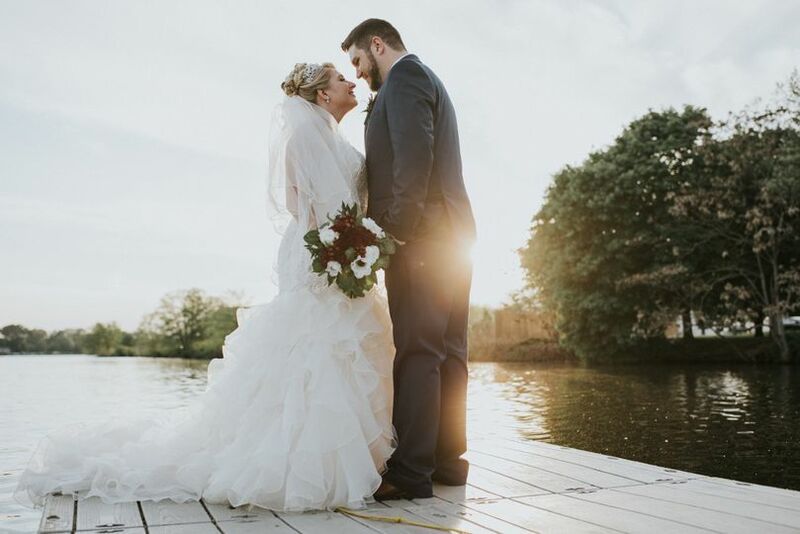 I would recommend the Camden County Boathouse to any couple! We had an amazing experience with this venue. The location is so convenient, not only since it is close to lots of major highways and right across the Ben Franklin Bridge from Philadelphia, but also is convenient to many affordable hotels. The spaces inside and outside are incredible, and between the Cooper River Park immediately adjacent and the Philadelphia skyline in the distance, the views are breathtaking. 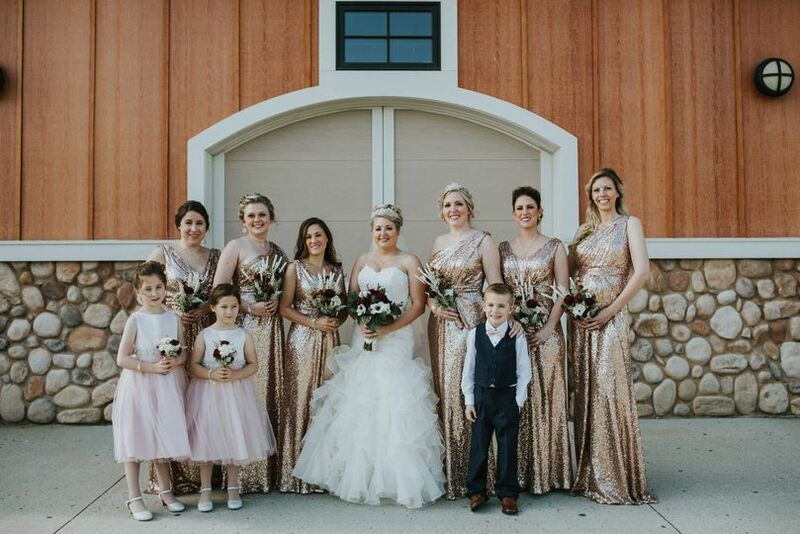 We were able to hold our ceremony on-site, outside, however if it had been inside it would have been just as lovely given the newly renovated space inside. 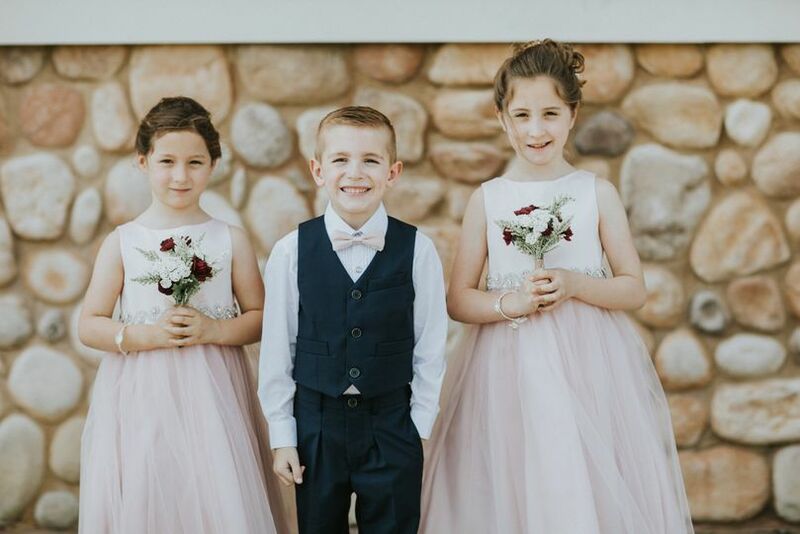 The staff were incredible, answered all of our questions thoroughly and promptly, and took away all of the stress of planning a wedding from a few states away. We will definitely recommend this space to all of our family and friends! 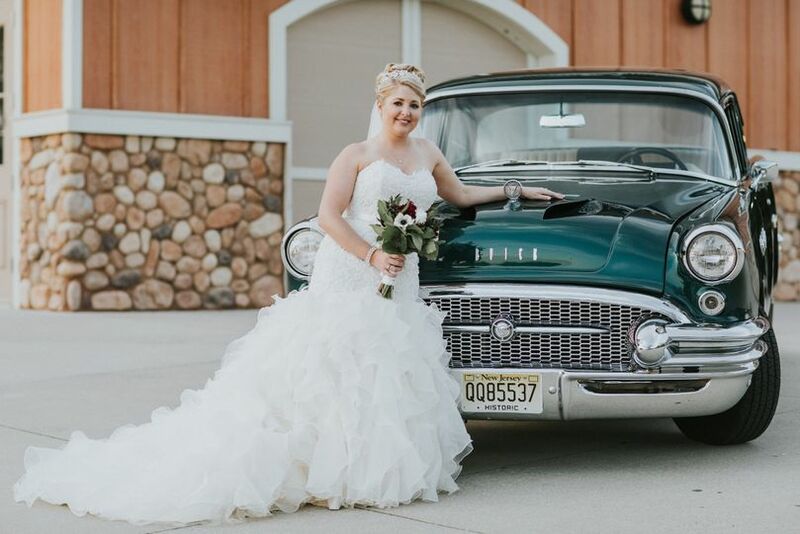 I am a Philadelphia bride, but looked into New Jersey for my wedding venue, as it is a beautiful state to get married in. When I first visited the Camden County Boathouse, I knew I did not have to search any further for my wedding venue. 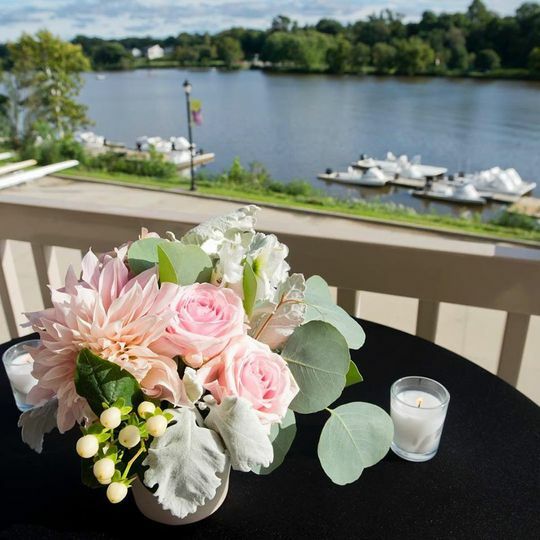 It is a one-of-a kind venue with beautiful park grounds along side the Cooper River, and breathtaking views from the boathouse deck, with modern/contemporary design. I could have not picked a more perfect place to celebrate the most important day of my life. Talk about an elegant affair! My guests were in awe of the venue and decor I had set up throughout the venue. The price is excellent, super convenient that the boathouse provides uplighting for a nominal cost, and a huge bonus that BYO liquor is permitted, which saved us $$. Thanks to Kristen for answering my many questions, and a big thanks to all the staff that contributed to our special day. This bride and groom could not be more happier with the perfect outcome of our wedding day! What a great place to have a wedding?? 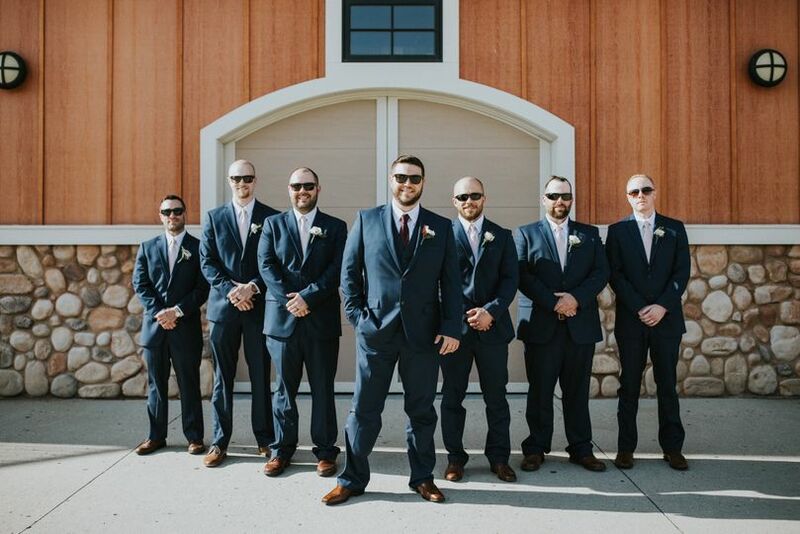 The Camden County Boathouse is one of the top venues in the Delaware Valley and deserves serious consideration if you are planning an event that you want to be unique and both memorable and enjoyable for your guests. The interior design, with plantation blinds and vaulted ceiling, will give your guests a spacious feeling as they enjoy breathtaking views indoors or out on the terrace of the Cooper River below and the Philadelphia skyline on the horizon. This location is perfect for weddings, corporate functions, and all types of special events. Sensational Host is pleased to create an outstanding event for you at this finely appointed facility.